The culture of learning and inclusion that FIRST embraces is facilitated by the mentors who help these kids adapt and grow. FIRST truly has the best mentors! Take, for example, Drew with FIRST Robotics Competition 3627, Jungle Robotics. He is the mentor for the Sarasota County School District. Drew started his career in animation and design and is now teaching robotics and engineering after the students sought him out to get involved in FIRST Robotics Competition. It's easy to tell that it is a position that he takes seriously and brings a passion for STEM learning with him. He's there for the team every step of the way, from the first day of planning and build to outreach programs and team building exercises. He also helps them realize that win or lose, they take the experience along with them. Drew is also a part of the Scouts, acting as the District Vice Chair in charge of STEM. And although one doesn't normally see a correlation between the Boy Scouts and Robotics, after spending a few minutes with Drew, we were left wondering why we had never put it together ourselves. STEM is actually integral in the teachings of the Scouts, in almost everything that they do. And now they are designing badges, medals and programs that are specific to robotics, gaming and graphic design. 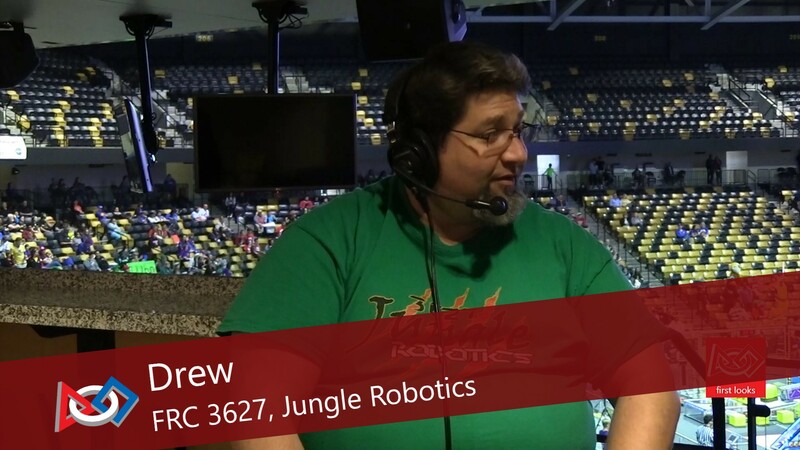 Check out our interview with Drew to find out more about the exciting Scout programs that promote STEM as well as his current FIRST Robotics Competition team and plans to expand in the future.